From August 23rd, Raiders of the Broken Planet is reborn as Spacelords, and becomes a totally Free to Play gaming experience. These changes coincide with the launch of the much awaited fourth campaign, Council Apocalypse, completing the first arc of Spacelords’ epic storyline. Council Apocalypse includes four new unique missions and a new recruitable character, the cold and calculating Valeria, all of which will now be completely free. 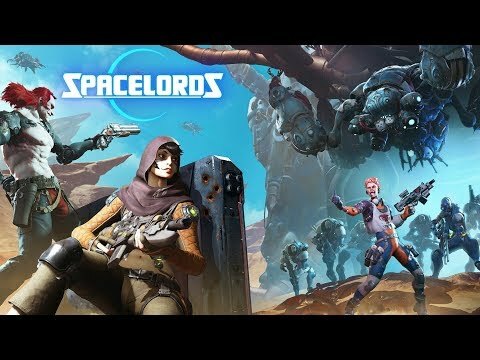 Spacelords is not just an update to Raiders of the Broken Planet; it is a new game built on the back of Raiders. The differences in all aspects go so deep, that the best way to communicate them to players is by re-branding and inviting everyone to experience the new Spacelords by themselves this 23rd of August. Newcomers will find a huge, new Sci-Fi universe to get immersed into, while Raiders’ veterans will see their calls answered. Spacelords was released on PC, PS4 and Xbox One 240d ago in the US and the UK. Notify me when Spacelords is available.